WEST PALM BEACH, Fla. — The White House is calling Pakistan's release of a U.S.-wanted militant a "step in the wrong direction" and says a refusal to re-arrest him would damage bilateral ties and Pakistan's reputation around the world. In a statement Saturday, White House spokeswoman Sarah Huckabee Sanders said the U.S. "strongly condemns" the release of Hafiz Saeed from house arrest. She urged his "immediate re-arrest and prosecution." "Saeed's release, after Pakistan's failure to prosecute or charge him, sends a deeply troubling message about Pakistan's commitment to combatting international terrorism and belies Pakistani claims that it will not provide sanctuary for terrorists on its soil," she said. "If Pakistan does not take action to lawfully detain Saeed and charge him for his crimes, its inaction will have repercussions for bilateral relations and for Pakistan's global reputation. " Saeed is allegedly the founder of a banned group linked to the 2008 Mumbai, India, attack that killed 168 people. He has been designated a terrorist by the U.S. Justice Department and the U.S. has a $10 million reward for information leading to his arrest and conviction. He was released before dawn on Friday after a three-judge panel in Pakistan ended his detention in the eastern city of Lahore. The move outraged both U.S. and Indian authorities. Saeed's spokesman Yahya Mujahid called it a "victory of truth." "Hafiz Saeed was under house arrest on baseless allegations and jail officials came to his home last night and told him that he is now free," he said. 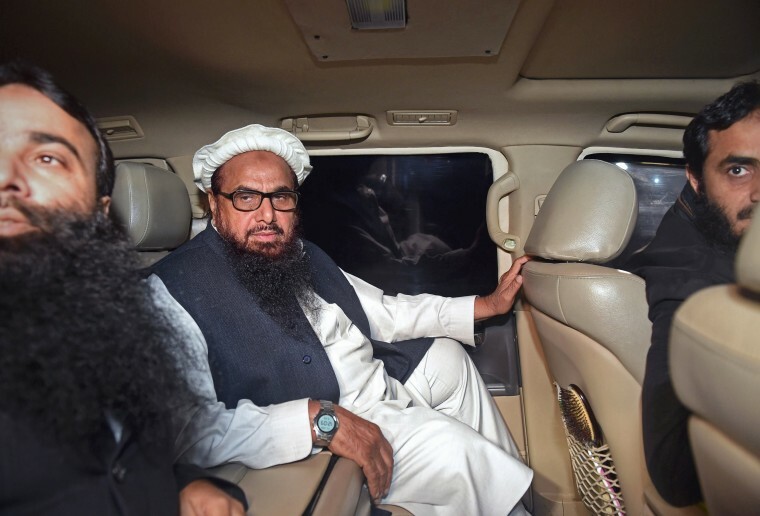 Saeed ran the Jamaat-ud-Dawa organization, widely believed to be a front for the Lashkar-e-Taiba militant group, which India says was behind the Mumbai attack. Pakistan has been detaining and freeing Saeed off and on since the attack. The Trump administration has been intensifying pressure on Pakistan to fight extremists and drive them from hideouts in Pakistani territory. The campaign appeared to produce some success this year when Pakistani security forces assisted with the release of a Taliban-held U.S.-Canadian family after five years in captivity. However, U.S. officials cautioned that move needed to be followed by additional measures to prove the country's commitment. Pakistani Foreign Minister Khawaja Asif said during a visit to Washington in October that Pakistan was willing to cooperate fully with the Trump administration. He said Pakistan had wiped out militant hideouts with little help from the U.S., which has restricted hundreds of millions of dollars in military assistance to Pakistan in recent years. The U.S. in August said it would hold up $255 million in military assistance for Pakistan until it cracks down on extremist groups that threaten neighboring Afghanistan. President Donald Trump's tough words about Pakistan, a troubled U.S. security partner, infuriated Islamabad and triggered anti-U.S. protests that Pakistani police have had to use tear gas to disperse.